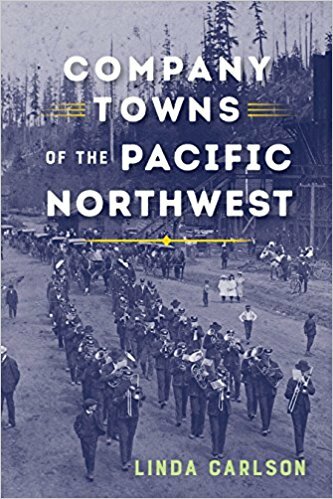 Author, "Company Towns of the Pacific Northwest" and "Upscale Retailing in Wartime"
Linda Carlson's Company Towns in the Pacific Northwest (University of Washington Press), a social history based on more than one hundred Washington, Oregon and Idaho employer-owned communities during the twentieth century, now has a new introduction and an expanded gazetteer. First published in 2003, when it was a finalist for the Washington State Book Awards, Company Towns has been cited in the New York Times, USA Today and the International Herald Tribune and resulted in Carlson being interviewed by the London Daily Telegraph. She was also featured in the documentary Home, about the long-lived Oregon timber community, Valsetz. Copies of the 2017 update are available through any retailer who carries new books (by special order if not on the shelves), from the publisher and at Amazon.com. Carlson's reviews of similar titles appear in journals. Most recently, she reviewed Gilchrist, Oregon: The Model Company Town, for the Western Historical Quarterly. The research done for Company Towns resulted in Carlson serving four years on the Humanities Washington speakers bureau, which provides speakers to community lecture series, historical associations and schools. Her topics: “Company Towns: How Women Shaped Employer-Owned Communities,” “Company Towns: Their Importance in the Modern West,” and “Speeders, Galloping Geese and Doodlebugs.” These presentations, each approximately an hour in length plus time for questions, are available for your group on a fee basis. Carlson's first book, The Publicity and Promotion Handbook: A Complete Guide for Small Business (John Wiley, 1982), outlines how businesses can handle publicity, advertising, and sales promotion on tight budgets and with in-house staff. A case analysis of marketing in an architectural practice was first published by the Harvard Business School and then appeared in Services Marketing (Prentice Hall, 1984). 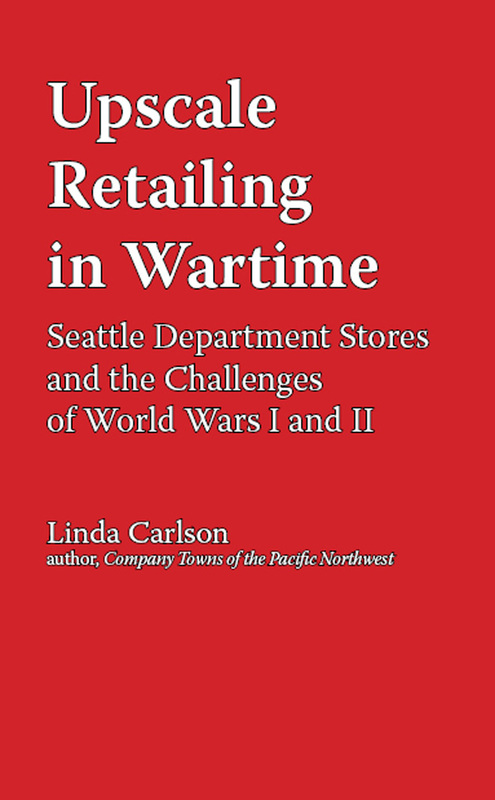 Her newest publication is Upscale Retailing in Wartime: Seattle Department Stores and the Challenges of World Wars I and II, now available from Amazon.com's Kindle store. This is an excerpt from a longer manuscript (as yet unpublished) that describes how Seattle's grand old department stores created social, educational and cultural opportunities for women in the late 1800s and early 1900s, and how the stores can be credited with developing a strong downtown core that still exists today. Upscale Retailing provides a directory of the most important department stores in Seattle in the era 1914-1946, explains how Seattle's retail district moved from Second Avenue up to the Pine Street corridor, and discusses the challenges the stores faced, especially during World War II, including merchandise shortages, rationing, personnel turnover, price ceilings, high sales taxes, ever-changing regulations on sales prices, and the significant difference in wages for department store employees vs. those in defense plants. What challenges did retailers face during World War I and World War II? Rationing was voluntary during World War I, but inflation ran rampant, and department stores were expected to help with war bond sales. When World War II broke out in Europe, defense operations in the U.S., especially along the Pacific Coast, helped bring the country out of the Great Depression. Finally, people could do more than browse when they walked through the grand entrances to Seattle's upscale retailers. That flurry of consumer sales was soon limited by rationing, merchandise shortages, a renewed emphasis on war bond sales, the loss of retail personnel to the military and defense plants, and seemingly endless government edicts regarding apparel design, price ceilings, customer service, and store hours. This short book provides extensive details along with period advertising. Includes a directory of Seattle's upscale stores 1914-1946 and an overview of the downtown retail core. Extensive footnotes and a bibliography are of value to students of retail or of the wartime eras. Currently available only through the Kindle store. See left column and link. All text and images copyright Linda Carlson 2014, 2019. Simple theme. Powered by Blogger.